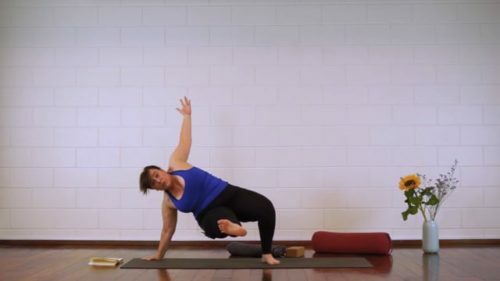 In this sequence we are going to have some fun with our flying dragon sequence, standing poses, balance poses and arm balances. I would say i can be quite challenging its short and I hope you’ll sweat a little. 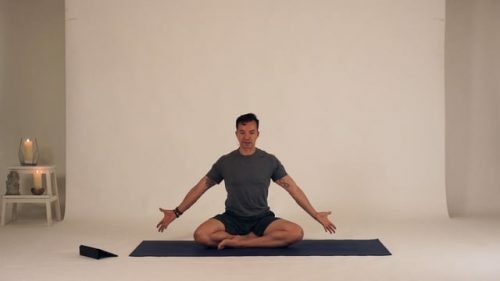 Yoga for Guys… And girls who are not intimidated by this title! 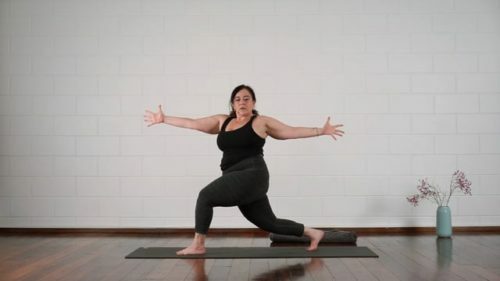 In this strong Yang class we bring a lot of awareness to the ‘core’. 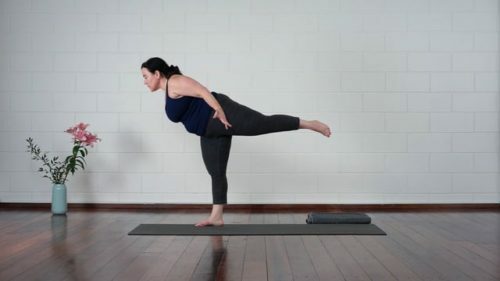 Once this part of the body has been worked on, we’ll do some pushups, leg exercises and arm balances, and we finish off with some stretches! Short, sweet and powerful. 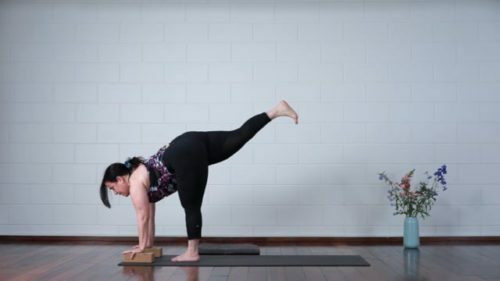 A short little blast of energy and movement, to change your focus and transform any sluggishness, laziness of heaviness into power, vitality and lightness. 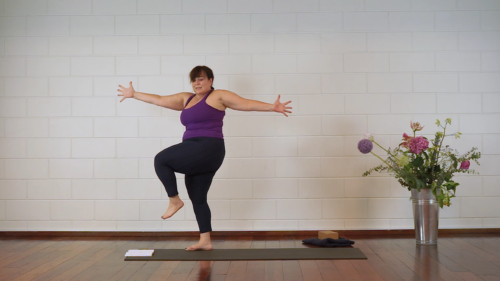 Join Katrin and Anat in this short but powerful 11 minutes, which you can use any time of the day. 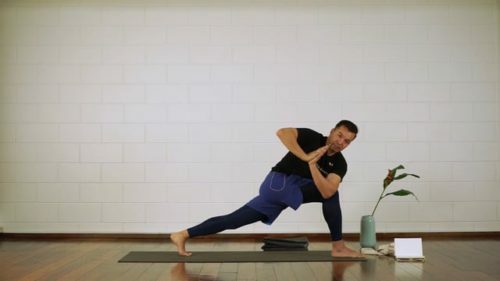 In this straight forward, no nonsense Yang flow we go from our sun salutations into standing poses, twist and backbends. no breaks, no pause, no childspose. We stop here and there to explain the function of the pose, but overal it’s a great total body workout! 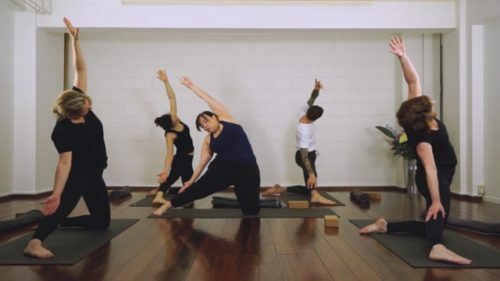 In this short and very intense class we combine cardiovascular exercises from other disiplines with our yoga poses. We will do: planking, military pushups, mountain climbers and (modified) burpees. All to raise your hartbeat and to let you sweat! You’ll probably need a towel, and yes, drink loads of water after class! Enjoy!